Network restriction that AT&T has put on your Moto E5 Plus is annoying to say the least. Fortunately now their are ways to permanent unlock AT&T Motorola E5 Plus easily which in return will give your phone access to use all network carriers. The main legitimate and official technique to unlock Motorola Moto E5 Plus AT&T carrier is by unlock code, which is arrangement of numbers one of a kind for each telephone. What you require to Carrier unlock AT&T E5 Plus is IMEI number. You can find IMEI of your phone by dialing *#06# on the dialer app of Moto E5 Plus and IMEI number will pop up. Write that IMEI number down somewhere for reference. The other thing you need is a working e-mail address so that you can receive your AT&T Moto E5 Plus Unlock Code on that email address. Getting unlock code E5 Plus is exceptionally straight forward. Simply enter your IMEI and your email and checkout with PAYPAL. We’ll send you your AT&T unlock code for Moto E5 in a matter of seconds. Entering AT&T open code is straight forward. Simply install another sim which is unsupported by Moto E5, SIM network unlock pin menu will display on screen. Just enter your unlock code cautiously and your phone will be unlocked. Why Unlock AT&T Motorola Moto E5? 1:There is no risk of damaging your phone while unlocking your phone . 2:You don’t need to have any technical knowledge to unlock your Moto E5 . 3:You can unlock AT&T Motorola Moto E5 from the comfort of your home. 4:You can avoid paying hefty roaming charges while traveling by buying new sim from your destination place. There isnt any risk in unlocking your phone. No software nor any physical damage will be done to your AT&T Moto E5 because our unlocking method is very simple and easy. If you want more details you can read risk involve in unlocking here. 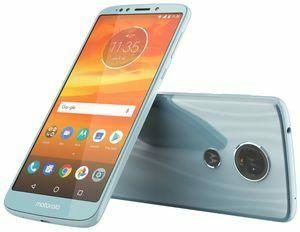 Why Unlock AT&T Moto E5 Plus With LetsUnlockPhone? At LetsUnlockPhone, our staff is devoted to give you respectful customer service along with fast unlocking service. Other than that you also get a full money back guaranty. Q:Is unlocking Motorola phone 100% guaranteed with unlock code? A:yes you can be 100% sure that your Motorola phone will be unlocked with AT&T unlock code. Q:Is their any rooting jailbreak or any other software based activity is involved in unlocking Motorola phone by unlock code? A:No, you just need a new sim card and Motorola unlock code for unlocking Motorola Moto E5 . Q:Does unlock code for Motorola phone expires? Do i have to enter it right away? A:No you can enter your unlock code whenever you need to unlock your Motorola phone. The unlock code doesn’t expire. Q:Will this unlock code gonna unlock my Motorola phone permanently? A:Yes this is the only permanent method to unlock Motorola phone . Q:Will i be able to still use AT&T sim in my sim unlocked Motorola phone? A:Yes you’ll be able to use whatever sim you want to use in unlocked Motorola phone. Q:Will unlocking my Motorola phone gonna its void warranty? A:No, unlocking doesn’t effect warranty or contract of your AT&T Motorola phone. Q:Will unlocking Motorola phone gonna reset it or remove any thing from the phone? A:No, unlocking does not have any effect on the storage or setting of Motorola phone. Before ordering unlock code, make sure that your phone is not already unlocked by inserting new sim in your Motorola Moto E5. Make sure your Motorola phone is not reported stolen or blacklisted. Be sure that your phone have enough tries left to enter unlock code and its not hard locked. Make sure that the IMEI you have entered in the buying form is correct, so check it twice or thrice.